My favorite Fitness Bloggers on IG right now! Hello y’all! If you have been following along on my IG lately (if you’re not, do so now!) lol you’ve maybe realized I have started to attend more and more fitness events/meet-ups in L.A! Now, this is something I will dedicate a whole other post to, but I would not be inspired to attend these meet-ups and go workout as often and with such dedication if it wasn’t for ALL of the daily motivation and inspiration I receive from the amazing fitness community on Instagram! There are so so many different, unique and powerful women out there, shredding it and motivating us to go sweat it out! 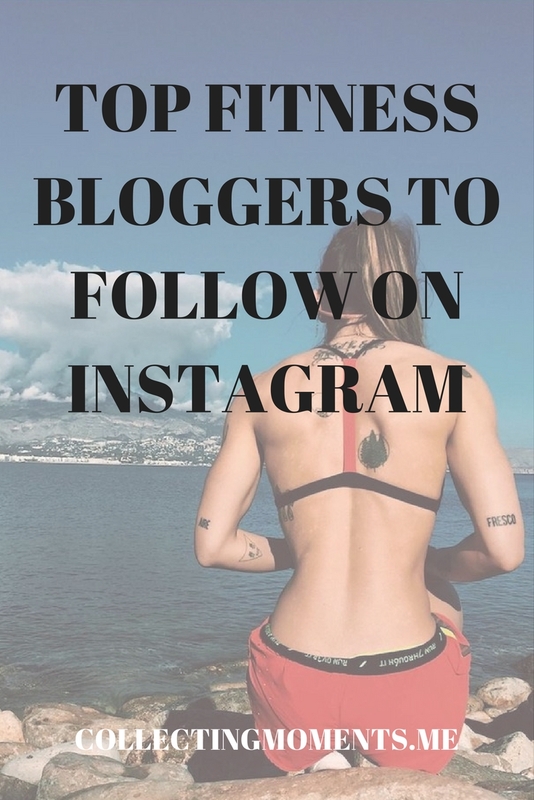 So, I wanted to share with you the fitness Instagrammers I’m obsessed with at the moment! The list could literally go on and on (I follow so many amazing fitness bloggers!) so I decided that instead I’ll share my favs at the moment and keep sharing about amazing fit women every few weeks! 1. Vikika Fitness - Veronica Costa has been one of my ALL-time favorites (even before I got into working out and leading a fit life!) I have been following her for 5+ years and she’s truly an inspiration to me. She’s originally from Spain and most of her Insta stories and posts are in Spanish (sorry non-spanish speakers!) but her IG is truly motivating and I love her goofy and down to earth personality. 3. Zanna Van Dijk - I started following Zanna a couple of months back (as basically all the other Adidas Ambassadors I didn’t already follow) and I have been LOVING her posts, her goofiness and she just really motivates me to get out there and work it out! She’s from the U.K, an Adidas ambassador and her IG is filled with a bit of everything related to fitness and wellness. P.S- I particularly enjoy her Vlogs on Youtube!! 5. Chinae Alexander ( previously getfitbrooklyn) - Chinae is such a badass girlboss! I actually met her back in January (that’s when I also met Remi) when she came to L.A. and did a small BBG meet-up over at Sweetgreen (so good!) What I particularly love about Chinae’s account is that she’s all about posting on the topic of her fitness & lifestyle journey, because guys, let’s be clear on something - the best thing you can do for self is to love YOU, love your body and take good care of it in all aspects (mind, body & soul!) and Chinae does an excellent job of encouraging just that. I’M OBSESSED with basically every single one of her captions! So follow her and you will definitely be motivated to be a better you! There you have it! Do you follow any of these babes? Are there any other fitness bloggers you are currently loving! Let me know!